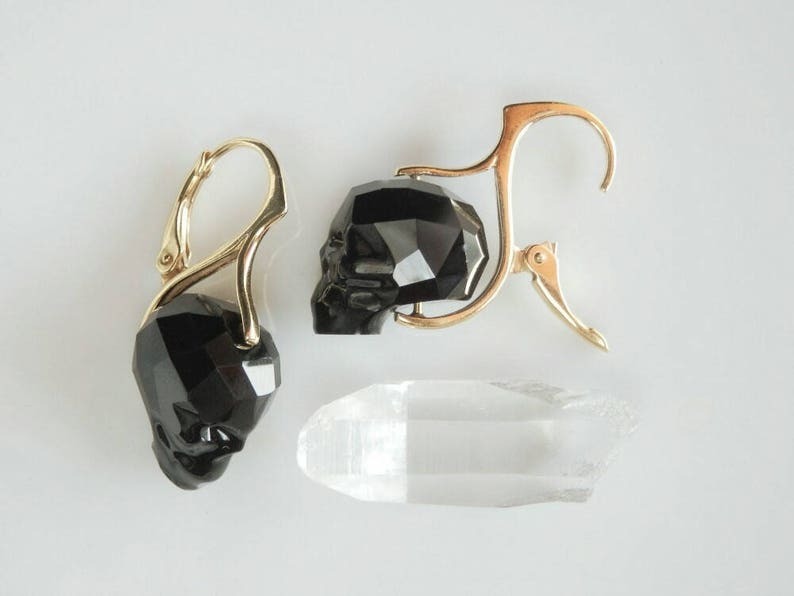 Darkly beautiful memento mori earrings, made with faceted black crystal skulls that catch and reflect light as they move. 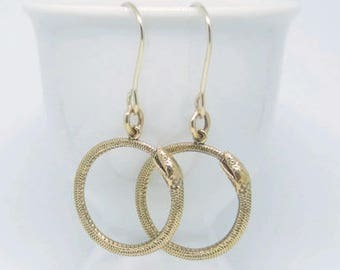 The uniquely designed leverback earring settings are comfortable and secure, made with high quality 14k gold vermeil layered over sterling silver. 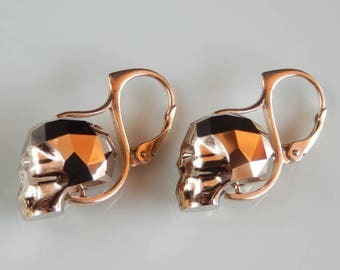 Measuring approximately 1 1/8 inch long x 1/2 inch wide, these skull earrings are made with genuine lead free Austrian crystals that have been precision faceted and polished to a high shine. Free shipping and gift wrapping are included. 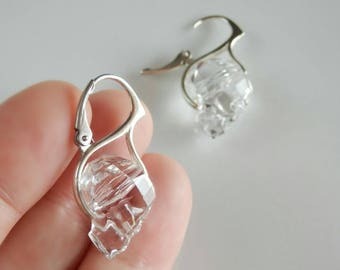 Love these earrings. Had to have a pair in gold and black, as well as the silver and crystal. Thank you!